Living back home in Maryland means I get to go to Ravens games with my dad again. I’m still a Broncos fan, but will root for the Ravens whenever they are not playing Denver. 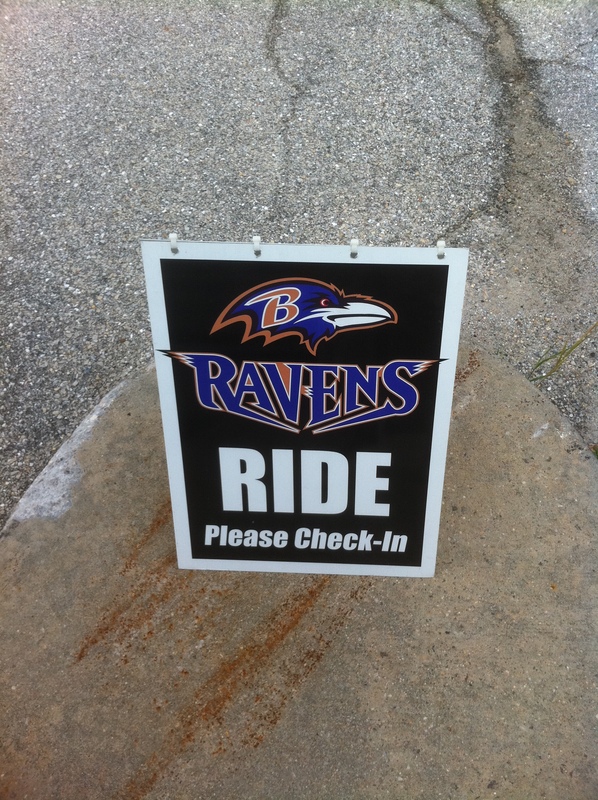 Just because I live in Maryland doesn’t mean I’m automatically a Ravens fan. I don’t change loyalties that easily. I’ve been a Denver Broncos fan since 1986 and will always be a Denver Broncos fan, no matter where I live. I didn’t want to be a hypocrite, so I wore my Shannon Sharpe Ravens shirt (he played for Denver) and my Orioles hat to the Ravens game today, although I did sneak in my Broncos bracelet. 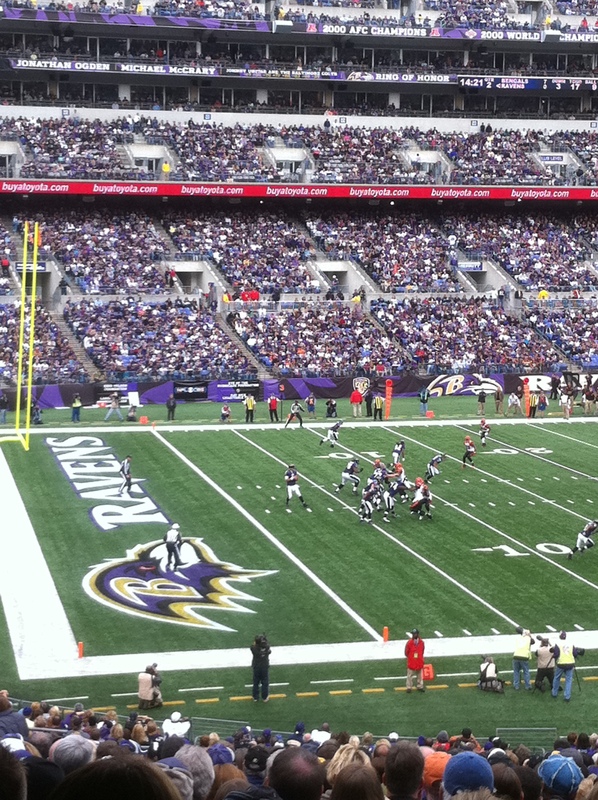 Dad and I took the bus from the park and ride in Catonsville and were at the stadium by noon to watch the Ravens – Bengals game. 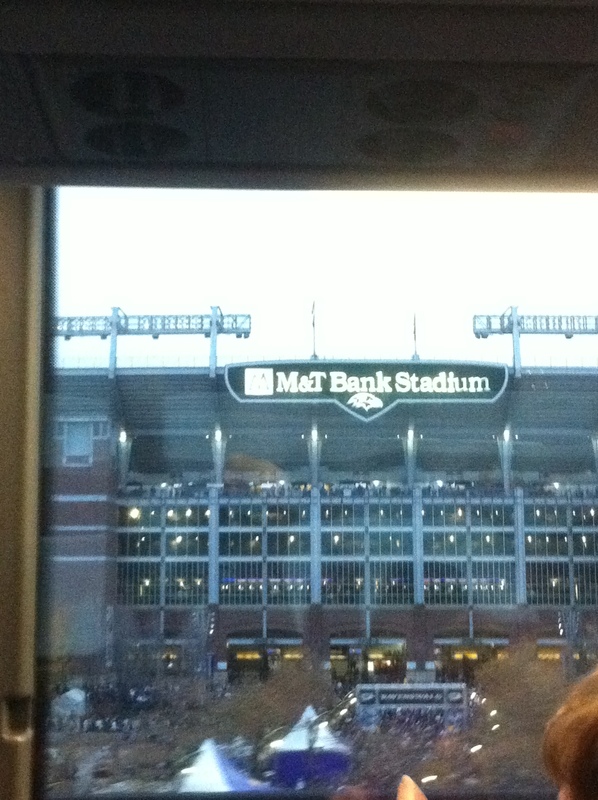 The last time I was at M & T Bank stadium was June 22 for the U2 360 show. I enjoyed being at the game, but I would much rather be there for a U2 show. But I did get to hear 3 U2 songs while I was there. 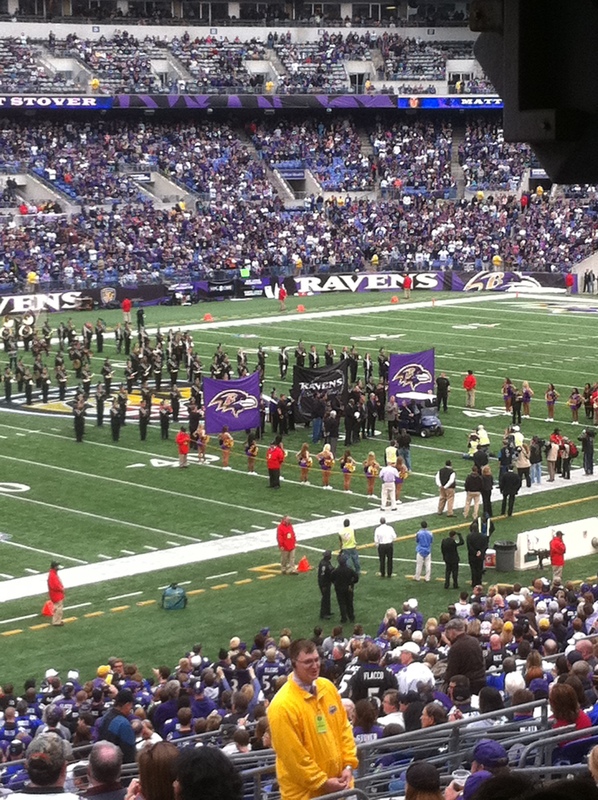 The Ravens are introduced and run out on the field to Where the Streets Have No Name, Sunday Bloody Sunday was played in the first quarter and Vertigo was played at halftime. 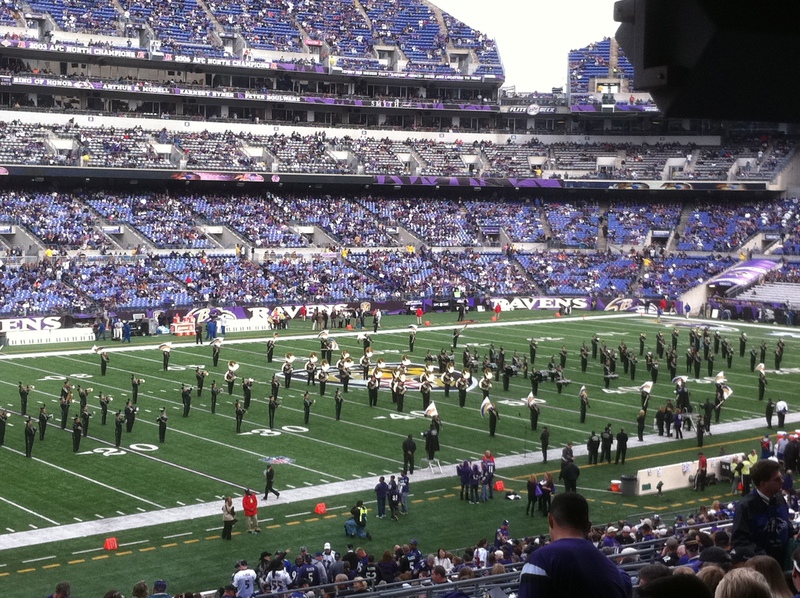 Even though Ray Lewis didn’t play (first time since 2007), it was a good game. The Ravens defeated the Bengals 31-24. The Baltimore defense had 3 interceptions. I saw the Bengals defense tackle Ravens #82 Torrey Smith by his hair – pulled him down by his hair. I always said they should make them tie up their hair and tuck it into their helmets. 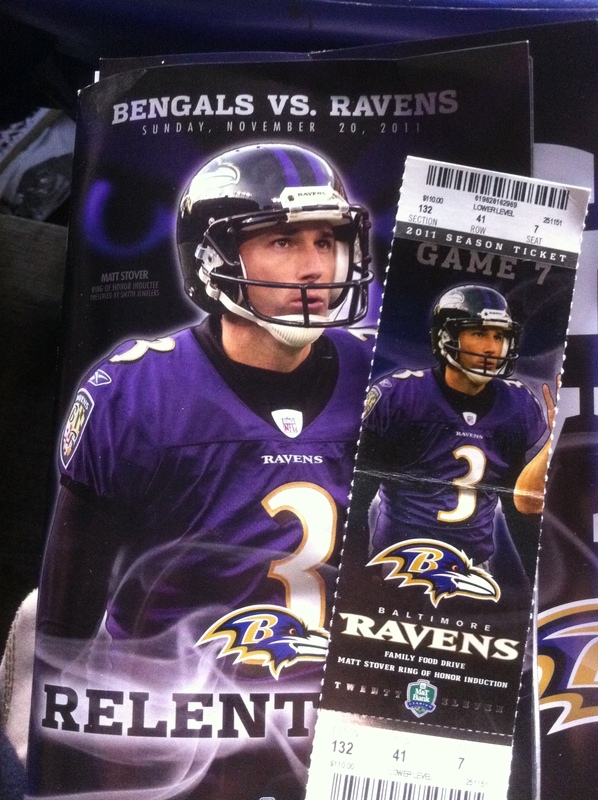 George Clooney (a Bengals fan) was at the game with his girlfriend, Baltimore native Staci Kiebler – I did not see them. 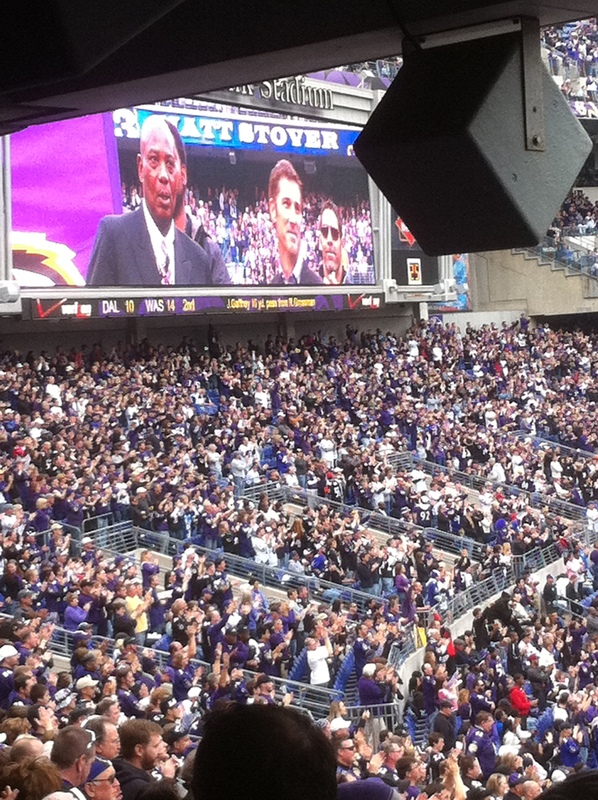 Matt Stover got his name on the Ravens Ring of Fame. 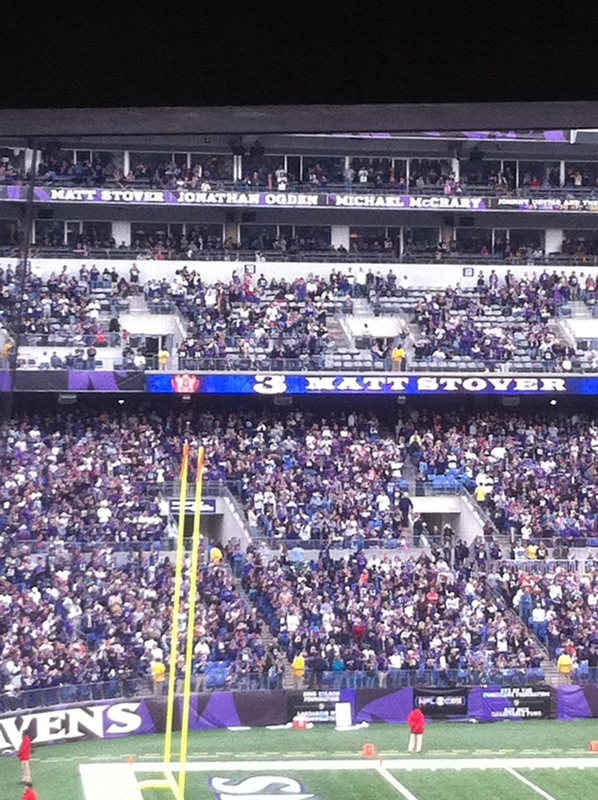 He is the lead scorer in Ravens history, and he was a kicker. I remember the season the Ravens won the Superbowl, Stover was the only one who scored when the Ravens went several games without a touchdown. My friend and I used to call Stover ‘hairspray’ because his hair was always perfect, even after he took off his helmet. And today was no different – not a hair out of place.